UBC lock Rori Wood captured Rookie of the Year, while Brock fullback Katelyn Heyens earned the Student-Athlete Community Service Award for her outstanding contribution both on and off the playing field and Carleton head coach Patrick Thompson received the Jim Atkinson Award as Coach of the Year. 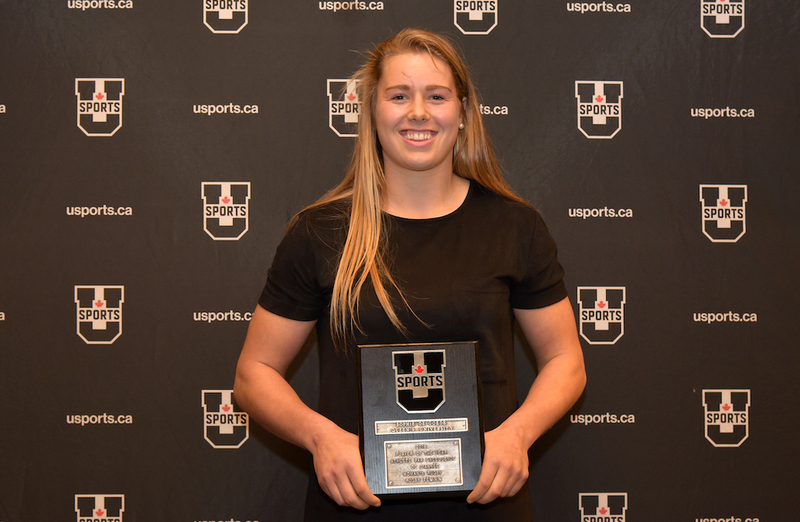 After a remarkable first season that saw her take the U SPORTS Rookie of the Year, two-sport athlete (basketball) Sophie de Goede took things one step further in 2018 as she becomes the first Gael to be named the U SPORTS Player of the Year in women’s rugby. de Goede had an incredible 2018 season for the Gaels serving as a team captain in just her second year. 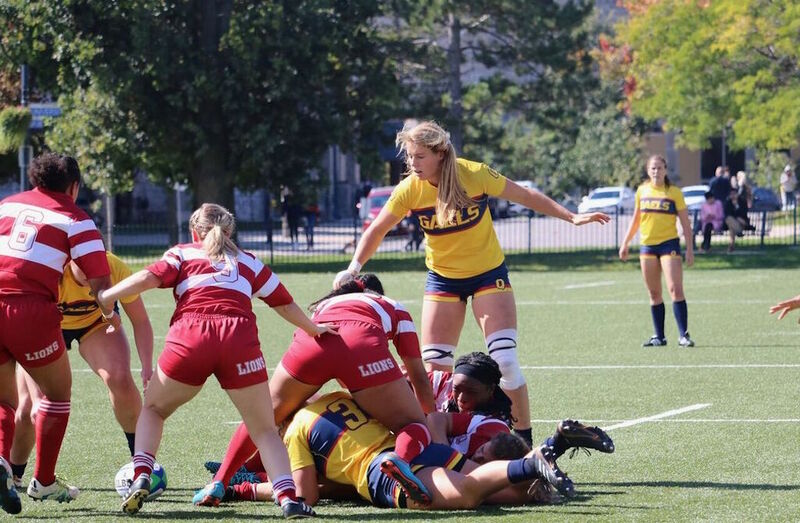 She finished the season with eight tries and three conversions for 46 points and added another two tries and two conversions in the OUA playoffs helping Queen’s secure a provincial silver medal. 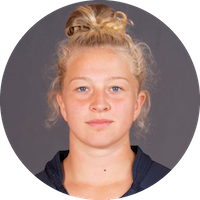 A 6-1 commerce student and back row for the Gaels, de Goede makes the players around her better every time she steps on the pitch. 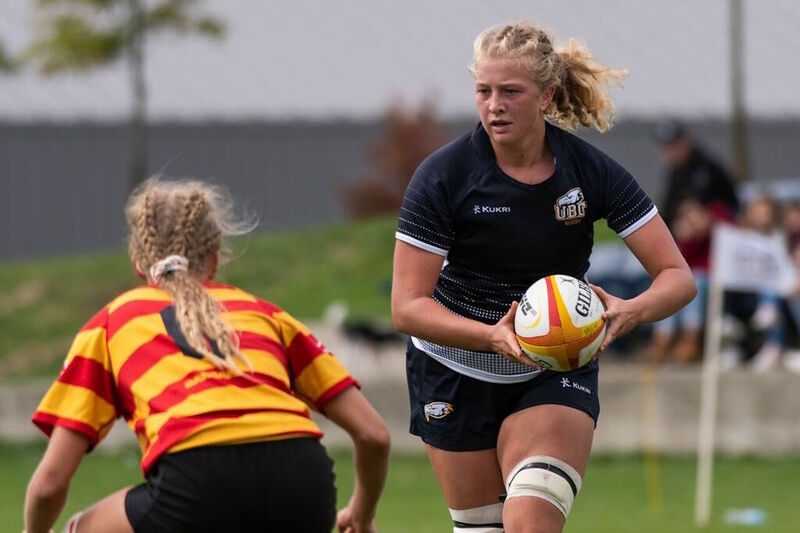 The daughter of former national Canadian rugby men's captain Hans de Goede and women's Canadian captain Stephanie White, Sophie captained the Canadian Rugby U20 team this past summer and will join the Queen’s women’s basketball team after the rugby season concludes. Sophie is an incredibly worthy recipient of this honour – her on-field performance and leadership have played an important part of our program’s success this season. 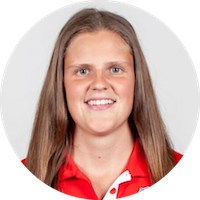 Sophie is a true student of the game with a tactical and technical understanding that are rare for a second-year student-athlete. One of the things I admire most about Sophie is that her mentality is always team-first – she doesn’t compete with the intention of racking up accolades for herself – I know she’d trade this award for an OUA or U SPORTS banner in a heartbeat, and that mentality, coupled with her innate talent and drive to improve, is why she is so deserving of this honour. Sooke, B.C., native Rori Wood has been rewarded for her outstanding debut year at the university level with recognition as the top first-year player in U SPORTS. A vital player for UBC at the lock position, Wood was just what her team needed in the pack this season, competing in every minute of every game in 2018 for the Thunderbirds, and head coach Dean Murten. Wood was dangerous in enclosed spaces with the ball using good foot work and leg drive, while her vision and speed were on display all season in open field play. Wood was a member of Canada’s Under-18 national team in the summer of 2017, and was the youngest player selected to attend the senior national team’s West camp in May. 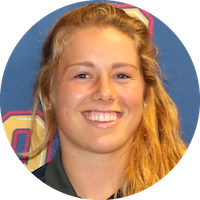 She becomes the second UBC player in three years, and the third overall, to be named U SPORTS Rookie of the Year, joining Mackenzie Carson (2016) and Megan Hamm (2010). To say that Heyens is greatly involved in the school and community would be an understatement, as the teacher’s college student has generously donated her time in many regards. Among her many efforts to date are: four years volunteering with CIBC Run for the Cure, the Niagara Superhero Run, SNAP, and IMPACT; leading Fit Break at the OPHEA Conference and at first-year orientation; serving as Motionball Coordinator in 2018; as well as taking part in the Brock women’s rugby Rookie-Vet Mentorship program for three years and Brock University Athletic Council for four. She is selfless, hard-working, and has done a great deal to spread her passion for teaching and for helping others lead a healthy lifestyle. She generously donates her time to help others, and takes pride in being able to do so. Katelyn has a passion for helping others lead a healthy lifestyle, and is always willing to help others in need. 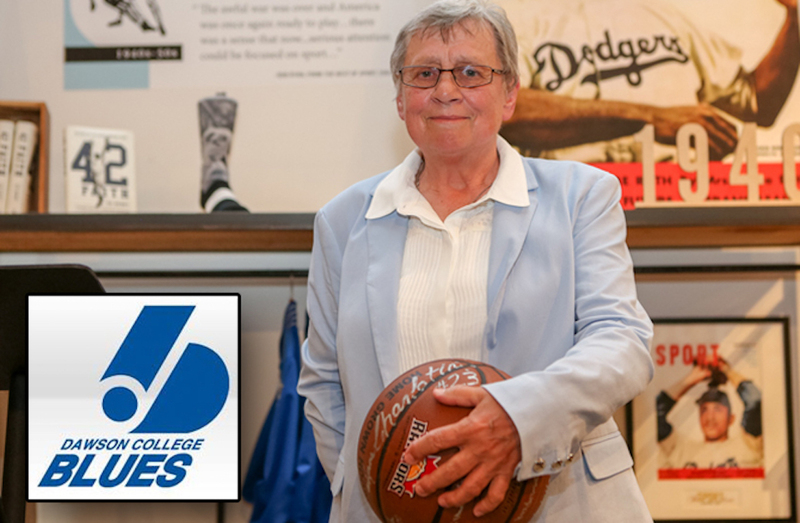 Last year, she was the recipient of the Dallas Beaton Award at the Brock Athletic Banquet, which goes to a Brock athlete that has truly left an impact on the Brock community. She is selfless, hardworking, and an incredible person to be around. Patrick Thompson completed his third season with Ravens rugby in 2018, leading the team to their best-ever record at 5-2 and earning their first-ever playoff berth. 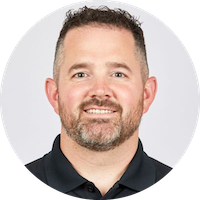 Since Thompson’s arrival, the Ravens have gone 12-8-1, narrowly missing out on the postseason in back-to-back campaigns – including its first with a winning record in 2017 - before finally securing a spot this season. 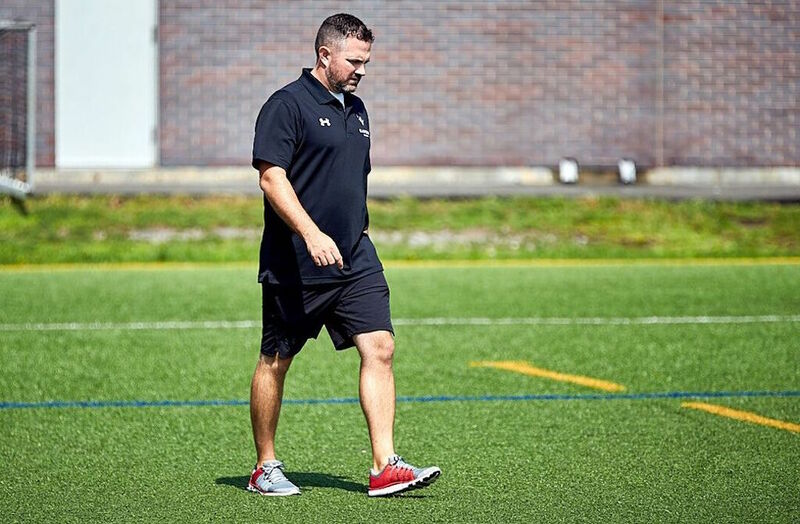 Thompson was named as the head coach of the squad on March 2, 2016, becoming just the second bench boss of the program since the Ravens switched from a club-level team to the U SPORTS level for the 2012 season. Previously he had spent his first four years as the team’s defence/backs Coach. Flanker Laura Pfleiderer Acadia 3 150 Mile House, B.C. Environmental & Sustainability Studies. As the official Rugby Ball Supplier of U SPORTS, Gilbert Rugby Canada will provide match balls and other prizing to the 2018 U SPORTS Women’s Rugby Championship hosted by Acadia University from Nov.1-4 at Raymond Field in Wolfville, N.S.